Images not displaying properly? View the online version. For K-12 teachers, Carolina houses a goldmine of information like archival maps, photos, and recordings — but finding those materials can be difficult. 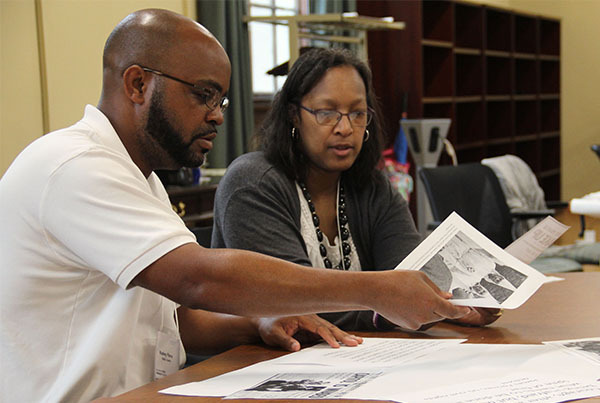 The Southern Oral History Program and Carolina K-12 joined forces to bring educators to campus, helping them uncover resources for use in the classroom. Regenerative medicine is an emerging, groundbreaking discipline and a research priority of the UNC & NC State Joint Department of Biomedical Engineering. 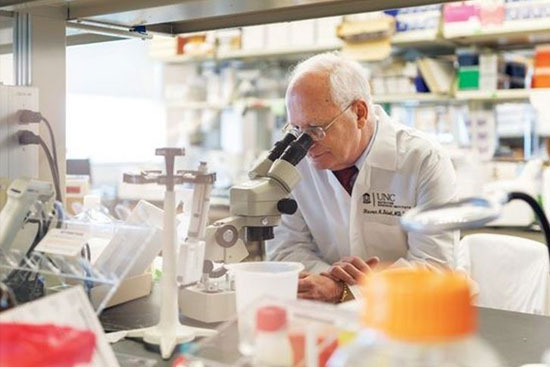 The department has 12 faculty with regenerative medicine research programs. Their work encompasses tissue engineering, biomechanics, cytomechanics, scaffolds, biomimetics, and mechanobiology to engineer living tissues. This research parallels that of the National Academies of Sciences, Engineering, and Medicine's Forum on Regenerative Medicine by integrating basic and applied sciences with translational therapies to improve patient care. As a member of the forum, I'd like to share its background and priorities with you. In 2016, the forum began with the goal of providing a mechanism for academia, industry, societies, patient advocate groups, and others to focus on opportunities for regenerative medicine that improves health through new therapies. The group identifies barriers to scientific and therapeutic advances by examining current policies on discovery, development, and translation of regenerative therapies including exploration of the ethical, legal, and social issues posed by regenerative medicine advances. They also focus on identifying, validating, and bringing applications to market. All of this is informed through research and public workshops. In turn, the forum informs the community through publishing perspective papers, workshop proceedings, and developing information resources for the advancement of effective therapies and the safety and health of patients. -regulation, informing and navigating the regulatory approval process. These areas are of interest to the research community here at Carolina as we expand efforts in this field. Two forum publications focused on the state of the science and navigating the manufacturing process are available for download on the National Academies website. The 2018 Diversity THINKposium addresses diversity, inspires action, and facilitates solutions. Led by the University Office of Diversity and Inclusion, this year's program focuses on the theme of "Belonging ... What a Feeling" and features Barbara L. Frederickson, the Kenan Distinguished Professor of Psychology, as the keynote speaker. 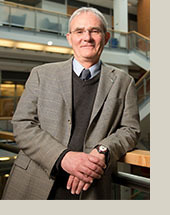 Frederickson has been advancing the science of emotions for more than 20 years. The event will take place Monday, August 27, from 9 a.m. to 4 p.m. at the Friday Center. Registration for this session is free, and lunch and refreshments are provided. In 2015, the Society for Research on Adolescence funded a faculty working group coordinated through The Center for Developmental Science (CDS) that included faculty and students from UNC-Chapel Hill Departments of Psychology & Neuroscience and Sociology, the UNC School of Social Work, UNC-Greensboro, Duke University, Vanderbilt University, and Arizona State University. Co-led by former CDS Director Andrea Hussong and UNC professor of psychology and neuroscience Deborah Jones, the working group considered whether traditional theories about parenting adolescents need updating — or even a complete overhaul for the current millennium. Researchers focused on how parents, consciously or not, prepare adolescents to navigate an increasingly diverse world. Although the group found little available data to answer this query, they discovered lots of relevant ideas percolating within the fields of psychology, anthropology, sociology, social work, and public policy. They integrated and developed these ideas in nine academic papers, which were all featured in a special issue of the Journal of Research on Adolescence, released this August. The goal of this special issue is to frame a conversation that identifies the important issues about what parenting looks like in today's world and how the impact of parenting on adolescents, and vice-versa, may or may not be shaped by increasing population diversity. To foster that conversation, the group created materials to support group discussion. These include a discussion guide and video featuring members of the faculty working group — along with other speakers who participated in an accompanying consortium series — who discuss their work and consider what is novel about parenting adolescents today. This training will review REDCap, a web-based data collection tool used for research studies, and feature an open session to answer any questions REDCap users might have. Hosted by N.C. Translational & Clinical Sciences Institute. This "Appetite for Life" event features UNC nutritionist Delisha Stewart, who will discuss the factors, modifiable behaviors, and nutritional interventions for disease risks related to race and ethnicity. Hosted by Nutrition Research Institute. This short course will cover the basic activities involved in arranging a cognitive testing project and will focus on the specifics of conducting verbal probing. Hosted by The Odum Institute. This two-day event will cover deep learning, machine learning, and artificial intelligence — technologies transforming diverse scientific, engineering, and business domains. Hosted by UNC-Chapel Hill, Nvidia, and SAS. 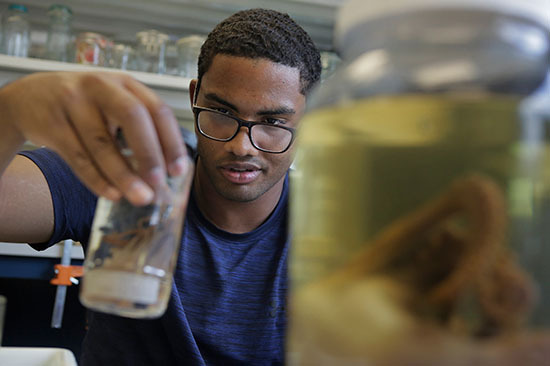 Jared Richards, a UNC junior, spent this past summer working as a Natural History Research Experiences intern with the Smithsonian Institution. His research involved cataloguing over 400 cephalopods — like cuttlefish, squid, and octopods — caught more than two miles below the sea surface during a 2009 research expedition at the Atlantic Ocean's Charlie-Gibbs Fracture Zone. He also employed computer science techniques to calculate the abundance of species in the region based on what researchers brought back. Professor Gary Bishop was experimenting with virtual reality before it was cool. 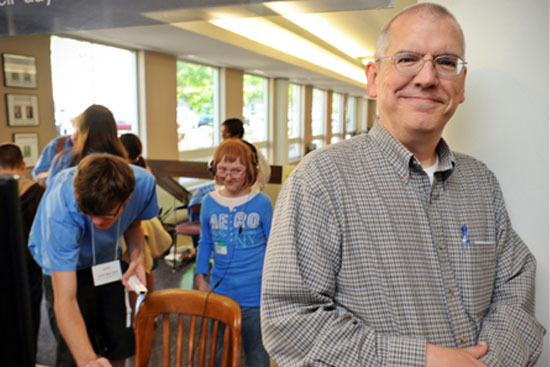 Now he uses his computer science background to create books for children with visual impairments and developmental disabilities. From his lab in a textile mill-turned-food research center, UNC nutrition scientist Steven Zeisel has brought choline, an essential nutrient, to the world's attention. 3 -dimensional imaging software and the campus makerspaces help Ackland Art Museum Preparator Joel VanderKamp create custom mounts for art. 60 million measurements of river width worldwide have been captured by a UNC-created database called Global River Widths from Landsat. 93 percent of amyloid proteins — which clump together and disrupt brain cells — were reduced in patients taking an experimental drug to treat Alzheimer's disease.